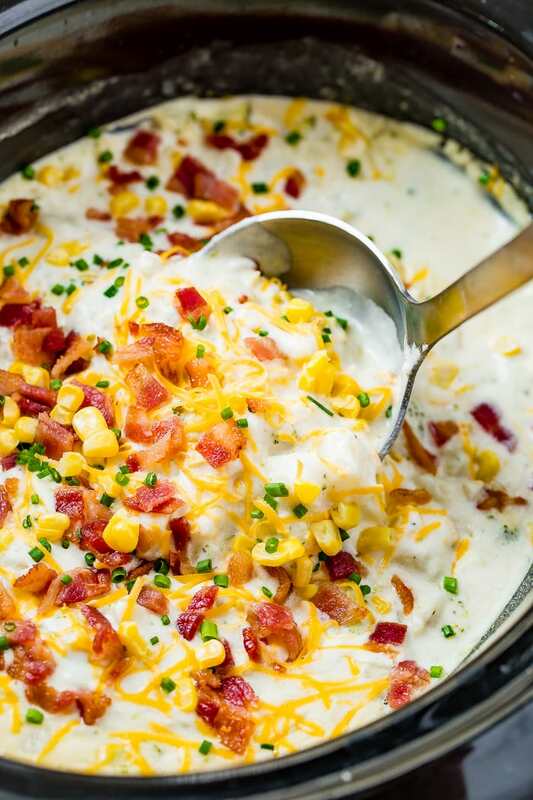 .Tonight’s dinner was perfect, so we couldn’t wait to share this recipe for Slow Cooker Potato Broccoli Corn Chowder with Bacon! It had snowed and snowed one day and school ended up getting canceled. 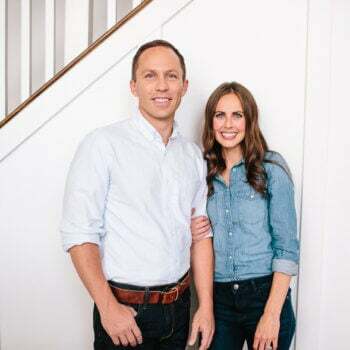 I was a teenager in high school and caught a ride home with someone. Actually, truth be told, it was a boy who I’d felt had been quite unkind to me for years. I’m always tempted to reach out sometimes and tell him that had mattered to me. Either way, I arrived home, snow billowing all around me as I tried to push my way into the front door and there it was, the smell of slow cooker potato broccoli corn chowder with bacon! Actually, I believe it was just potato soup, but Mom won’t mind a lick that I added some extras. 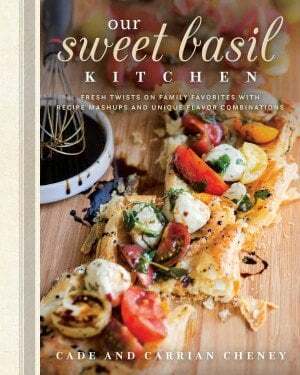 In fact, I think she will love this recipe. The only thing missing is absolutely the World’s Best Cinnamon Rolls. In fact, maybe I’ll make another round of soup and cinnamon rolls because now I feel like I’ve missed out. I grew up ALWAYS having cinnamon rolls with our potato soup. What was I thinking not making them? 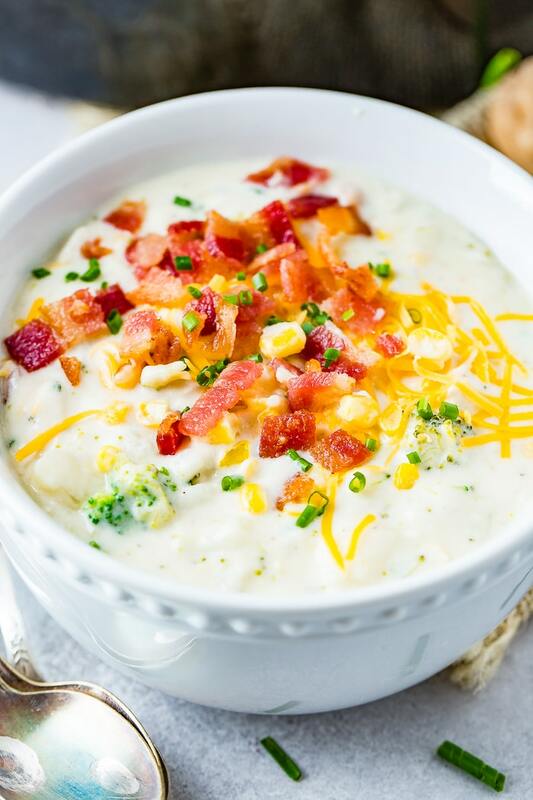 This slow cooker potato broccoli corn chowder with bacon is actually a very simple, few ingredient recipe that can totally be made stove top or in a slow cooker or crockpot. It’s a creamy soup full of potatoes, chopped broccoli, corn and a generous sprinkling of shredded cheese and crispy bacon on top. There’s just one request, while I know it’s easier to dump the ingredients in and go, starting a little roux on the stove top will thicken the soup while it cooks all day and who doesn’t want a thick and creamy potato soup?! A roux is the easiest thing ever, a quick mixture of fat and flour. 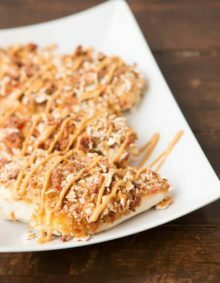 It generally starts with butter, melting down in a pot and then flour is quickly sprinkled in and whisked until the nuttiness comes out and that flour flavor disappears. This mixture is then used to thicken soups and sauces. 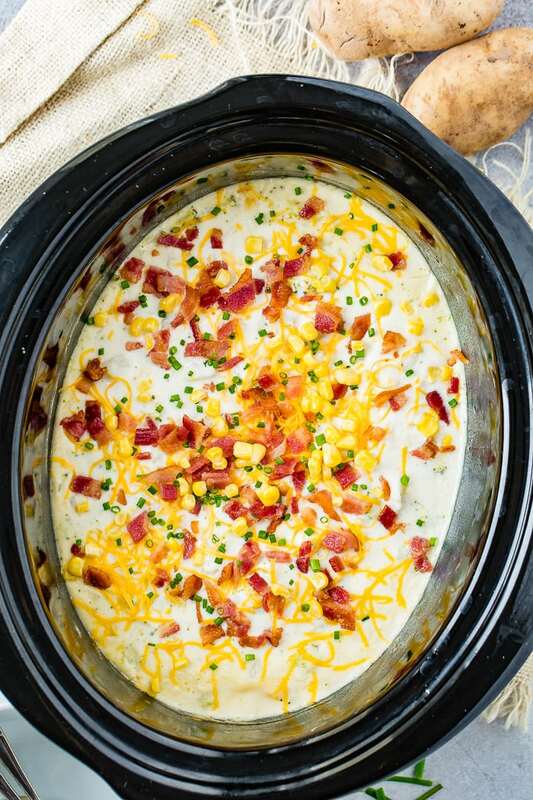 In this slow cooker potato broccoli corn chowder with bacon recipe it allows the soup to thicken in the slow cooker as it simmers all day whereas a normal slow cooker soup doesn’t tend to cream up enough. Are Slow Cookers and Crock Pots the Same? A true slow cooker consists of the same three components as a crockpot which would be: glass lid, pot for cooking the food, and heating element. However, a crock pot usually has a ceramic or porcelain pot, while a slow cooker has a metal pot. It can be interchanged though so it doesn’t really matter. 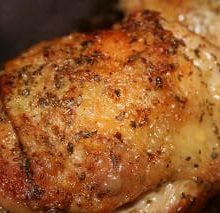 CrockPots and slow cookers use moist heat to cook food over a long period of time. Both a crock pot and slow cooker are used to cook the same types of foods, and both produce the same delicious results so either way you’re good to go. Chowder is a type of soup or stew often prepared with milk or cream. Think about corn chowder, clam chowder, and so on. It’s also true that chowder is also typically made with sea food, but other meats can also be used. Chowder is usually chunky as well. Broccoli is a great source of vitamins K and C. Broccoli is also a good source of folate (folic acid) and also provides potassium, and fiber. We’ve seen many people writing off broccoli lately. They’ve been so caught up in kale, spinach, brussel sprouts etc, but don’t forget broccoli! It’s such a great vegetable! What Goes Well With Corn Chowder? Good sides to eat with corn chowder include, green salad, corn bread, fresh bread or biscuits. I think that you’ve got some veggies in there, don’t stress so much about what to serve on the side. The main dish is fine to be served solo if you are ok with keeping things simple like I am. Looking for more soup recipes? 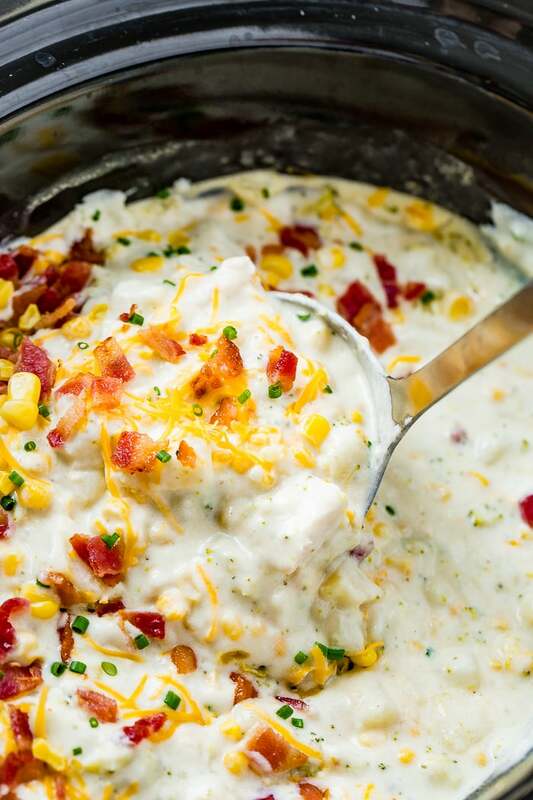 Try our One Pot Cauliflower Chowder Cheesy Southwestern Chicken Tortilla Soup, Roasted Tomato Soup, Lasagna Soup, Chicken Soup, Best Clam Chowder, or Instant Pot Taco Soup! 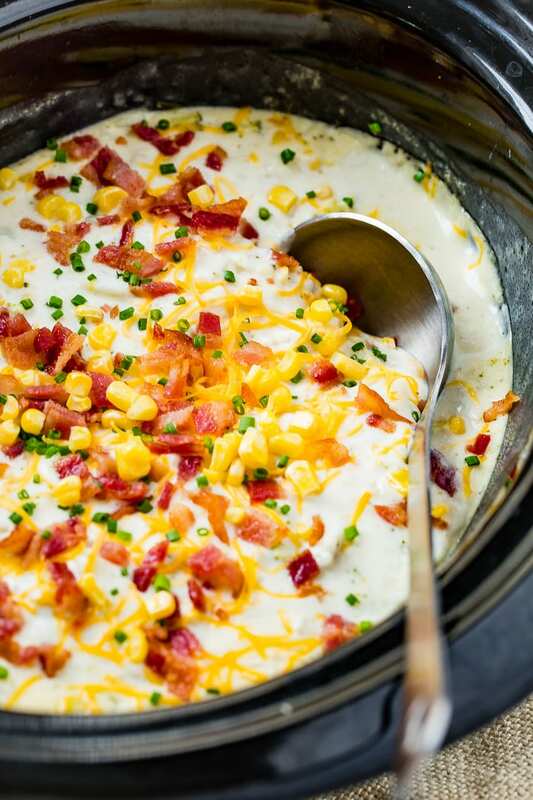 Tonight's dinner was perfect, so we couldn't wait to share this recipe for Slow Cooker Potato Broccoli Corn Chowder with Bacon! In a pan over medium high heat, add the butter and as it's melting, add the onions, turning the pot to medium heat, stirring often until tender. Add in the flour and whisk for one minute. Scoop this mixture into a crock pot or slow cooker. Place potatoes in the slow cooker and season with salt and black pepper as well as the honey. Add the broccoli and corn. Pour in chicken broth and dairy. Stir in the seasonings and cover with a lid. Cook on low heat for 6 hours OR on high heat 4 hours. Occasionally open the lid and give everything a stir. 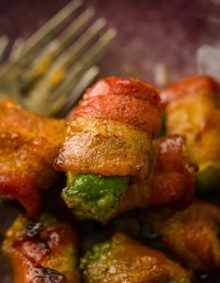 Serve warm with bacon and cheese, enjoy!